American CPR’s Advanced / Healthcare C.A.R.E. CPR™ training course covers information about cardiovascular disease, information about heart disease, risk factors, prudent heart living, heart and lung function, and conscious and unconscious airway obstructions. Included in the curricula is One-rescuer & Two-rescuer “full” C.A.R.E. CPR™, Compression-Only CPR™. Special considerations for Healthcare, management of foreign object airway obstruction, Bag-Valve-Mask use, and introduction to AED are included. 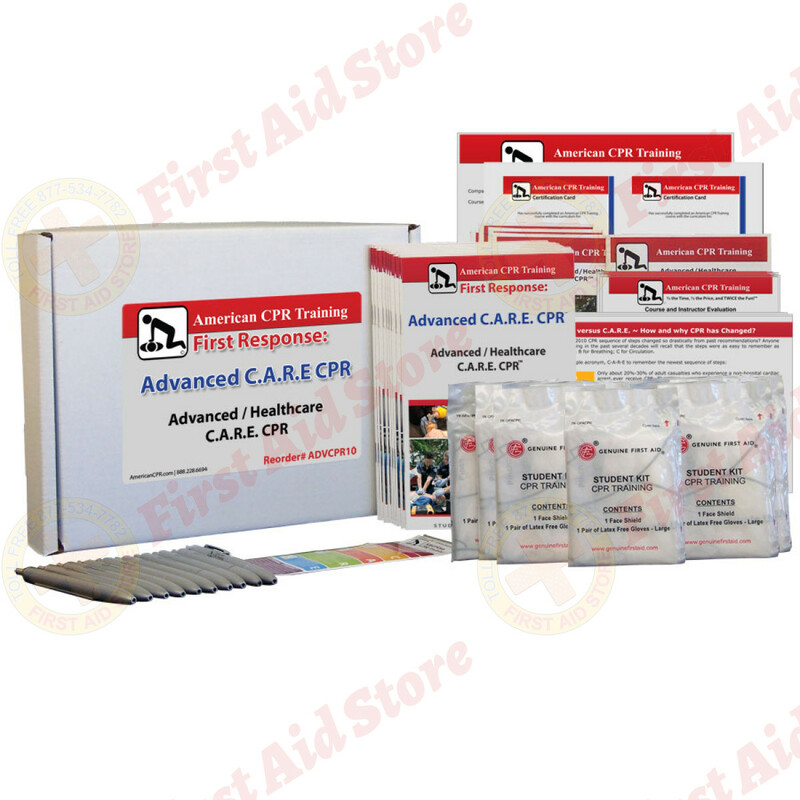 American CPR’s Advanced / Healthcare C.A.R.E. 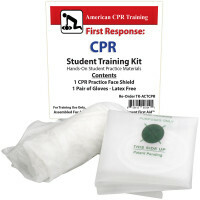 CPR™ Program is designed to incorporate lecture, demonstration, DVD presentation, student books & training materials, individual Student Practice Kits, and student skills testing. The Instructor & Student Materials are designed to synchronize with the American CPR C.A.R.E. CPR™ DVD in a manner that the Students may follow in the handbooks throughout DVD presentation, and Instructors may offer chapters of the DVD interchangeably with live lecture/presentation. A 50 question exam is included. Advanced / Healthcare C.A.R.E. CPR™ Certification is valid for two years. 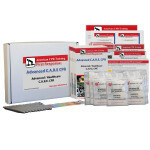 The American CPR Training™ Advanced / Healthcare CPR Student 10 pack.